Solar panels are likely your best option for power after a nuclear EMP. But will your equipment survive the attack? Are solar panels affected by nuclear EMPs? Your solar panels themselves likely won’t be destroyed by a nuclear EMP, with the exception of their diodes. The real risk comes with the other components of your solar setup like your inverter, controller, and battery bank which are vulnerable to EMPs. In this article, you’ll learn how to protect your solar energy system from a nuclear EMP event, what precautions you can take to keep it operational, and how to repair any damage sustained during the attack. Will My Solar Panels Survive An EMP? You want to be able to depend on your home’s solar power after an EMP event if you’re investing all the money to prepare. But will your solar panels survive the attack? It depends on how strong the electromagnetic pulse is. 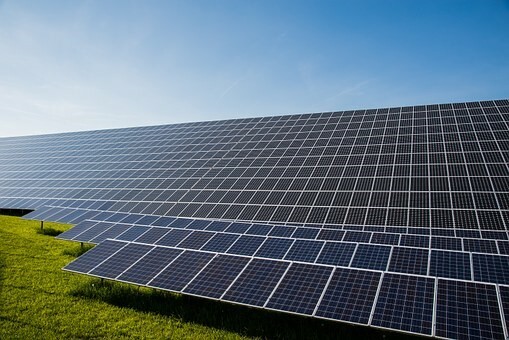 The majority of solar panels would probably not be damaged. The larger your solar array, the more likely is that an EMP will damage other equipment associated with your solar rig, like your inverter, wiring, and charge controller. A nuclear EMP attack won’t destroy physical structures like buildings in the way a conventional nuclear explosion would, but it can wreak havoc on a country’s power grid. The waves of energy created overload electrical systems and circuitry, especially microchips. A nuclear EMP hits in three separate waves, called E1, E2, and E3 waves. An E1 wave comes first, and is the most destructive. It’s a burst of gamma radiation that jolts the entire power grid within thousands of miles with 50,000 volts of electricity. A high altitude nuclear EMP detonated 40k feet above the USA is enough to cause an E1 wave nearly simultaneously across the entire Continental US. The E2 wave comes next and is the simplest to protect against. 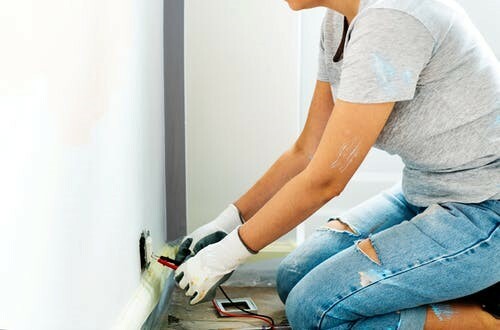 It hits with the power of an average bolt of lightning, which typical precautions like surge protectors would normally be able to protect against. But by the time an E2 pulse hits, the power grid will likely already be destroyed by the E1 blast. An E3 is the last and slowest moving electromagnetic pulse of a nuclear EMP attack. It creates currents in things like power lines and telephone wires and travels along them, destroying things like transformers and power stations that it comes into contact with along the way. Studies the US government has commissioned over the years suggest that it would take weeks or months to replace the larger components of the power grid. Many larger transformers used in the US power grid are only produced in Europe, and only so many are made each year. So it would take months for them to be produced and shipped over. If a nuclear EMP attack happens, you should be prepared to be without power for six months or more. Most solar panels can survive EMPs caused by natural phenomenon like lightning within a close range. If lightning strikes within about 500 feet your panels will be fine, although the wiring and circuitry connected to them will often be destroyed. You can expect a similar situation after a nuclear EMP. The solar panels themselves should be fine. They might have a slight reduction in output after being subject to an EMP, maybe about 5%. The one part of your solar panels that are likely to be affected are the diodes, which send energy from your panels to the battery bank in your home. The more solar panels you have, the higher your risk of having damage from an EMP attack. Especially if you have a complex setup with strings of diodes or rows of photovoltaic modules. While your panels themselves will be fine, the other electronics associated with them may be fried. You can reduce the chances of having that happen by using surge protectors, although depending on the strength of the EMP that might not do much. The biggest targets are your controller which charges the batteries from your solar panels, and your voltage inverter which is used to convert power stored in the battery to 120 volts AC. You’ll want to keep spares of these parts, along with extra diodes and other supplies, inside of a Faraday bag to ensure your solar grid will remain operational after an EMP attack. There are some precautions you can take to protect your solar panels and maximize the chance of them surviving an EMP. Disconnecting them. If you get advanced notice of an EMP, you might have time to disconnect your solar panels and store them and all their components in a Faraday bag. This is the best case scenario, and you’ll have little to no damage in this case. Go off the grid. If your solar panels aren’t connected to the public power grid, they have a much better chance of surviving an EMP attack. The power grid will almost certainly be affected by an EMP attack, since it acts like a giant antenna stretching across the entire country, that energy will be transmitted to your home and fry any electronics attached inside. although that may be the least of your problems if the EMP was the result of massive, full-scale nuclear war. If you’re disconnected from the grid then you only need to worry about the E1 hitting your panels and then the E2 and E3 coming through your own cabling. Create a Faraday cage. You could try to make a Faraday cage around your entire solar array using a wire mesh, but this isn’t very practical. It would block sunlight and greatly reduce the efficiency of your solar unit from day to day until the EMP happens. It also wouldn’t help if your solar panels are still wired to all the vulnerable components inside your home. Get backups. We mentioned this one earlier, but it’s worth repeating because it’s probably the most practical solution. Buy backup parts for every part of your solar array. That includes extra panels, a spare inverter, and extra diodes. Store them all in a Faraday bag to keep them safe until you need them after an EMP event. Get military grade components. The military has EMP-proof wiring they use to protect their equipment and vehicles from a possible attack. You can buy some wiring hardened against EMPs to use with your solar panels to increase the odds of them surviving. A military grade inverter might be hard to find, but companies like Sol-Ark provide solar components that are hardened against EMPs. Whether you can repair your solar array after an EMP strike depends on how strong it was, how close the detonation went off, and the preparations you took in advance. The first thing you’ll want to do is a full inspection of the system to see what’s still working and what was destroyed. Start by checking your diodes. You can check them with a multimeter set to diode mode. But as long as they haven’t melted, they’re probably working fine. Replacing any that were damaged is pretty simple, but it’s a good idea to watch a Youtube video now while you’ve got power to see how it’s done. Next, see if any of your wiring got fried. It’s pretty easy to replace. Just run new wire. The downside is that if you see a burned wire, the rest of your components were probably destroyed too. Check your batteries, controller, and inverter to see if any have short circuited using a multimeter. Ideally you have replacements that you had stored in a Faraday bag that you can swap them out with. Chances are that your local electronics store won’t be open after an attack, so if you don’t have spare parts ready in advance you’ll likely be out of luck. Panels are pretty cheap and easy to get, so it’s good to have some spares as well, even though they’re the least likely to be damaged. Q: How will Coronal Mass Ejections affect my solar panels? A: CMEs are huge solar flares, and the other main EMP concern besides a nuclear EMP. A CME would affect your home solar system similar to a nuclear attack. Solar panels are unlikely to be affected, but your inverter and controller will likely be destroyed. We had a near miss in 2012 with a CME that could have knocked out power in the US for years, and there’s a 12% chance another one will hit within the next 10 years, so it’s a real concern. 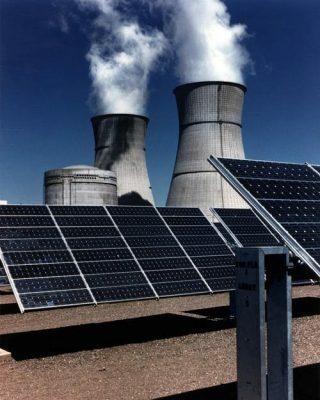 Q: Will working solar panels even be useful after a nuclear EMP? A: It depends on how the nuclear blast affects the atmosphere. A nuclear EMP may simply knock out power to the whole country with no other side effects. But if enough nuclear power was used, it could result in a nuclear winter. That’s a period of cold or darkness caused by a layer of dust and smoke from the explosion that can block out the sun. If the country goes into darkness because of nuclear winter, even a working solar array would be useless. If the world descends into a full-out nuclear war, there will likely be much larger concerns than restoring electricity. This entry was posted in EMP Protection and tagged emp attack, Solar Generator, Solar Panels, Solar Power After EMP Attack by techpro23. Bookmark the permalink.